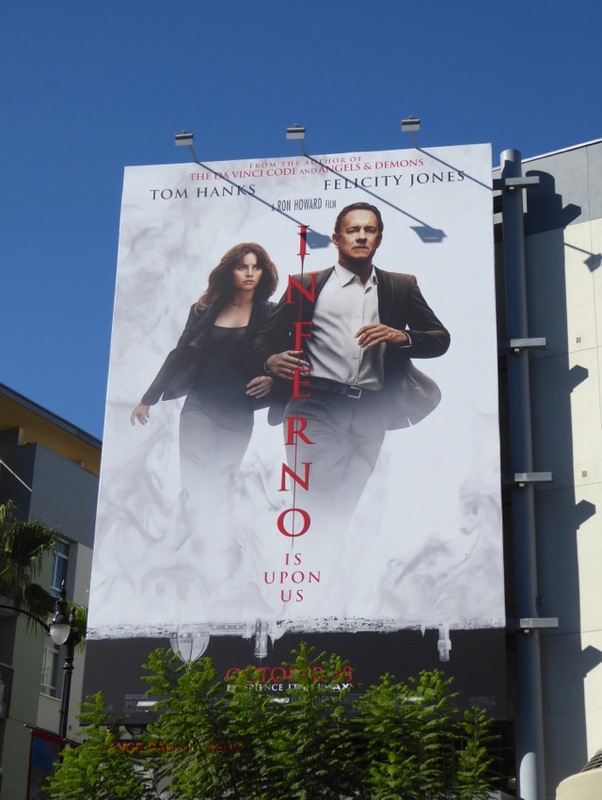 This October Dan Brown's fictional Harvard professor of religious iconography and symbology returns in Inferno, the third film featuring Tom Hanks as 'Robert Langdon'. 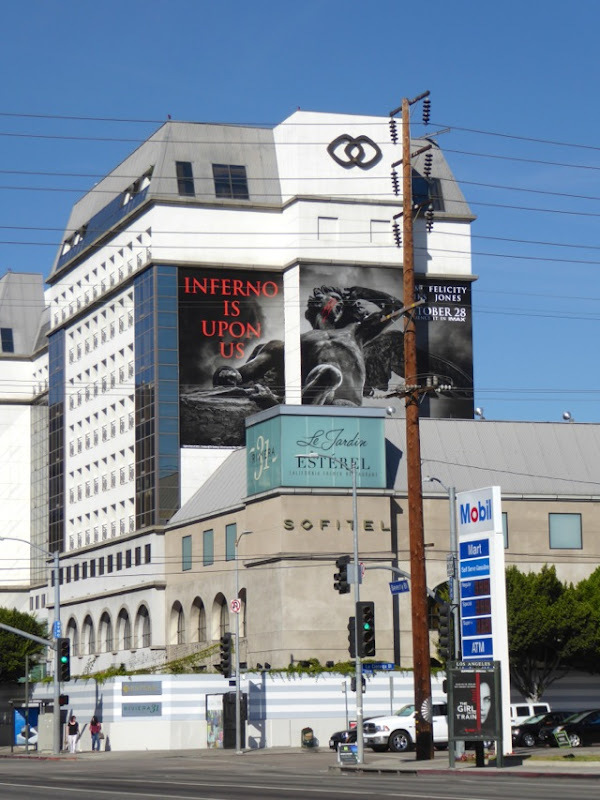 This time the historical expert will need some help to decipher the clues before a madman unleashes a deadly plan for global destruction inspired by Dante's 14th century description of Hell. 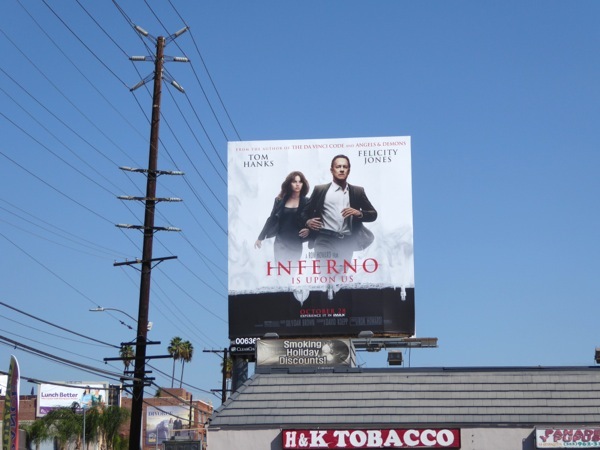 Fortunately, as he suffers from amnesia he's assisted by 'Dr. 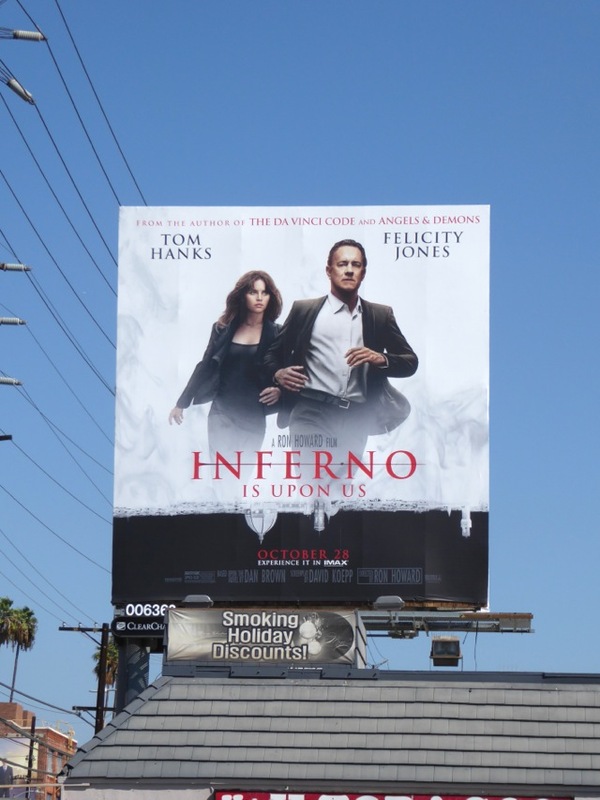 Sienna Brooks' (played by Rogue One's Felicity Jones) as they race across Europe to help prevent an apocalyptic virus from being released on humanity. 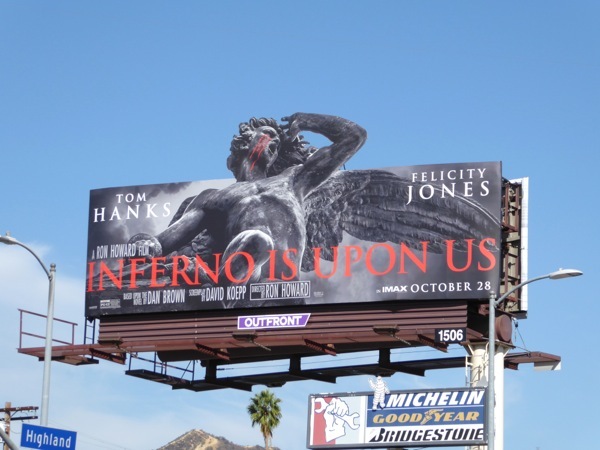 Ron Howard also returns to direct this follow-up to 2006's The Da Vinci Code and 2009's Angels & Demons based on the author's 2013 book of the same name, and is no stranger to working with Tom Hanks after directing him in 1995's Apollo 13. 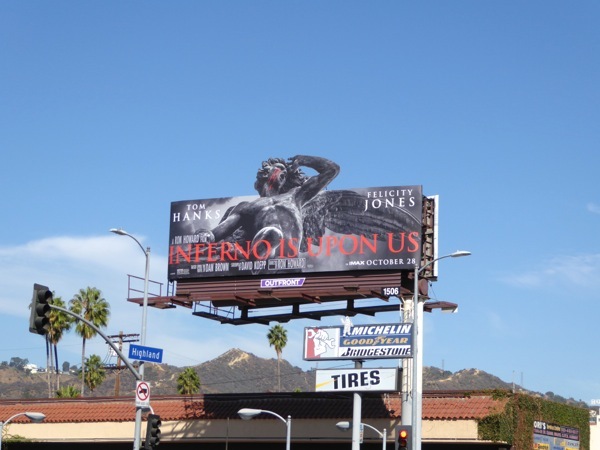 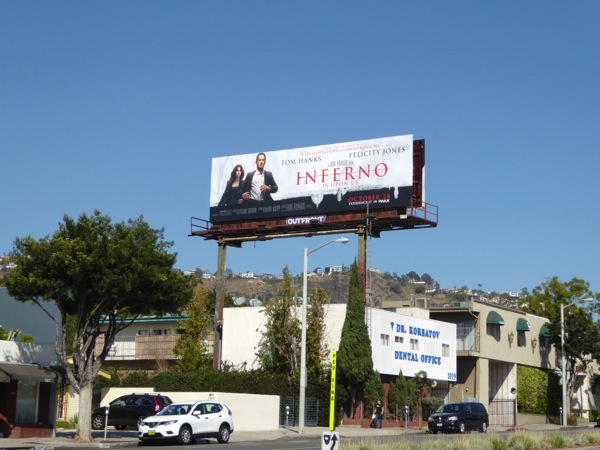 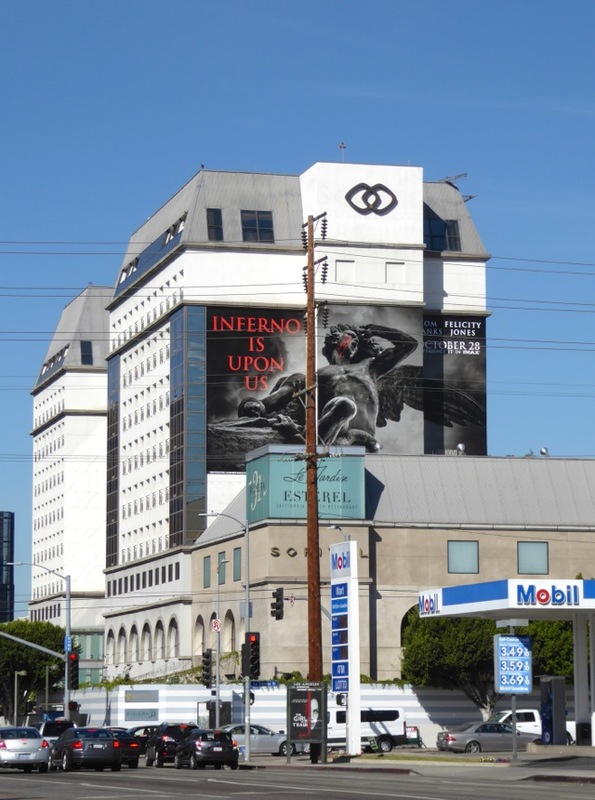 These Inferno movie billboards were spied around the streets of L.A., including along Sunset Boulevard, Highland Avenue, Santa Monica Boulevard, Beverly Boulevard and Vine Street from October 1 to October 11, 2016. 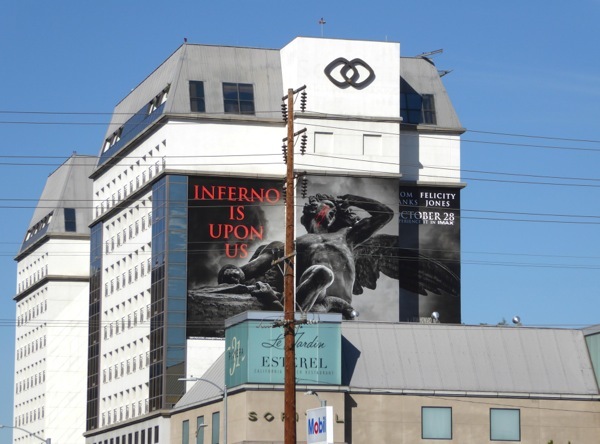 The angel statue ad creatives fit in well to the city skies in the run up to Halloween, with all the spooky goings on in graveyards and the like at this time of year. 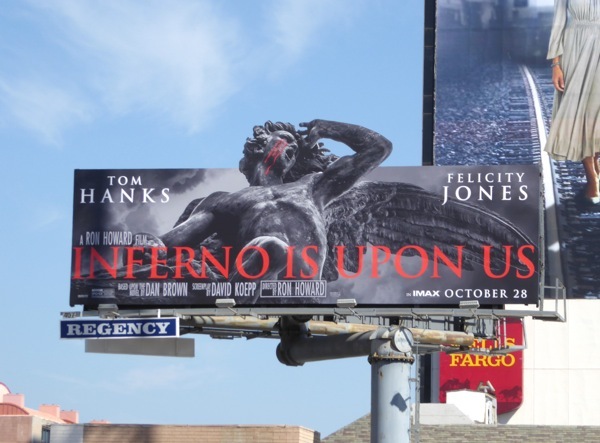 For more films based on Dan Brown's 'Robert Langdon' novels, make sure you also check out these Angels & Demons movie billboards from 2009. 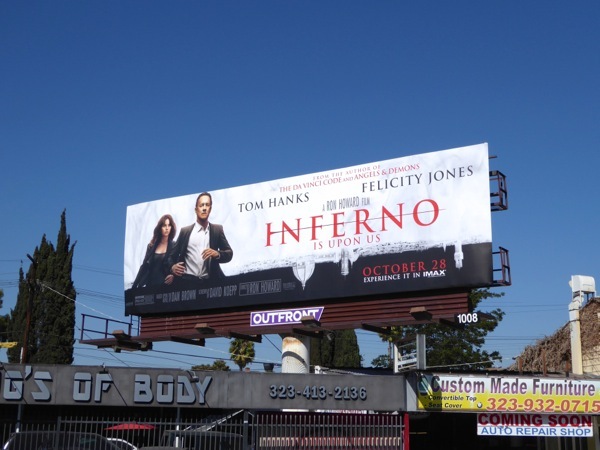 Fans of Tom Hanks can also enjoy these Bridge of Spies movie billboards, these Saving Mr. Banks movie billboards and these Sully film billboards. 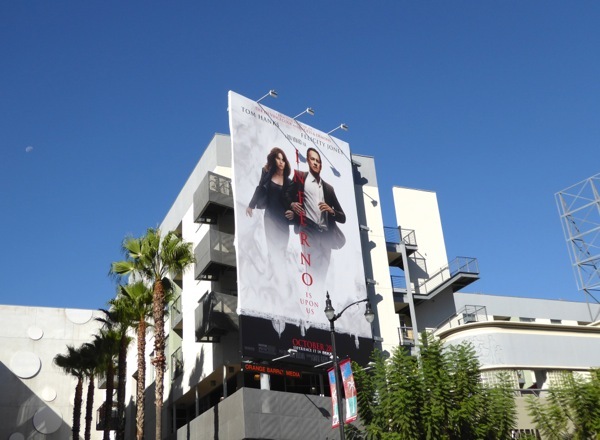 With another book still to be adapted, The Lost Symbol, will this be the last we see of Robert Langdon on the big screen? 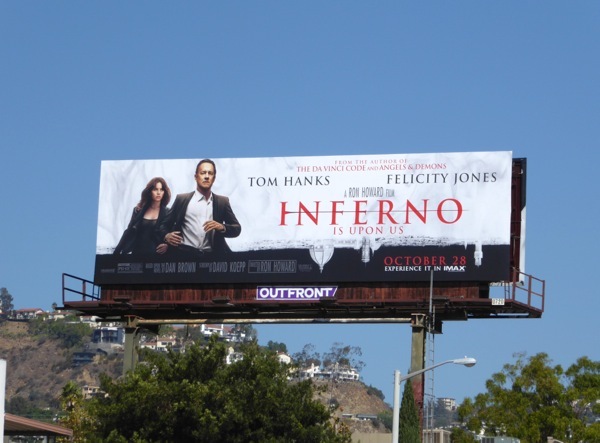 We suppose it depends on whether Inferno sets the box office on fire, or the new film gets shot down in flames.